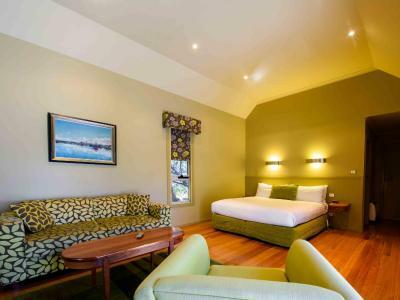 Lock in a great price for Freycinet Lodge – rated 8.7 by recent guests! Breakfast was very good, lots of choices and included made to order hot items. Great view! The bed was surprisingly comfortable... like sleeping on clouds. Josie (at The Bay Restaurant) was a delight. She demonstrated great customer service, hospitality, conversation and made us feel extremely welcomed. 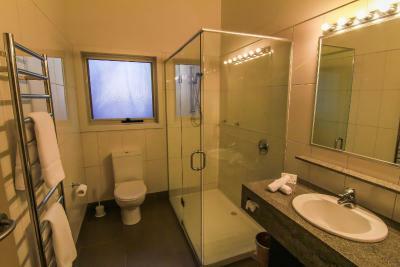 The bathroom had heated floors and heated towel rack. Secluded, beautiful location, extremely friendly staff. It was a quiet resort even though there were lots of families and children. Great location in the National Park. The staff were friendly and helpful. 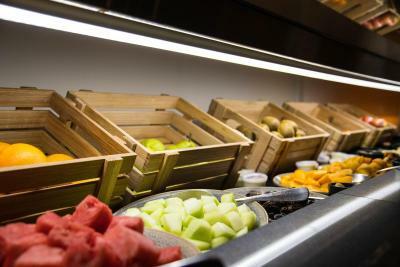 Both restaurants on site were good providing options for casual or formal dining. The cabins were comfortable. I enjoyed my stay and would go back again. 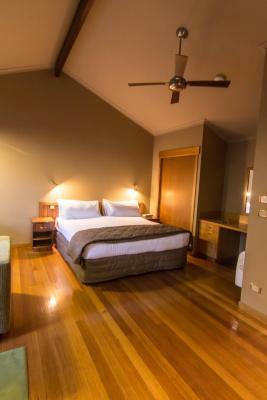 A great relaxing, tranquil and private setting. Enjoyed the local bird-life. We stayed one night, but should’ve stayed 2! Beautiful setting and site to explore and enjoy. 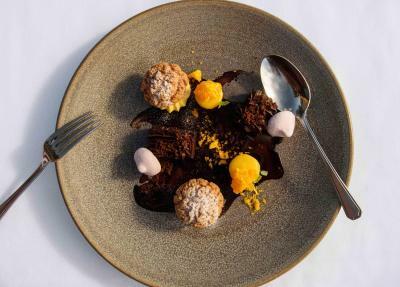 The restaurant was also very good: They were careful in accommodating my many food allergies during a busy dinner hour and delivered an excellent meal. 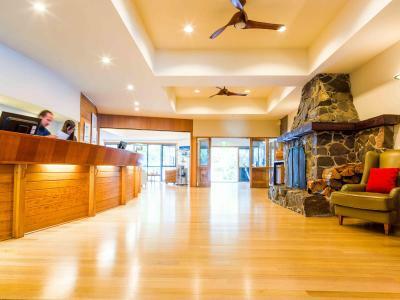 Freycinet Lodge This rating is a reflection of how the property compares to the industry standard when it comes to price, facilities and services available. It's based on a self-evaluation by the property. Use this rating to help choose your stay! 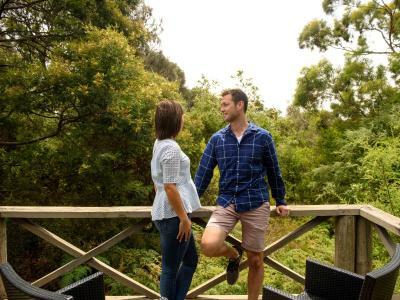 One of our top picks in Coles Bay.Located in a waterfront location within Freycinet National Park, this lodge offers secluded cabins in a coastal bush setting, 2 restaurants and a bar. 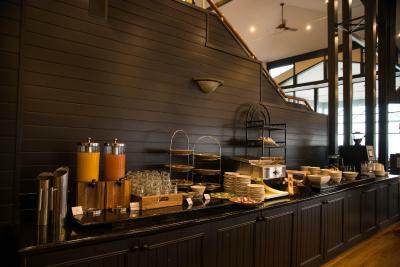 Buffet breakfast is included. 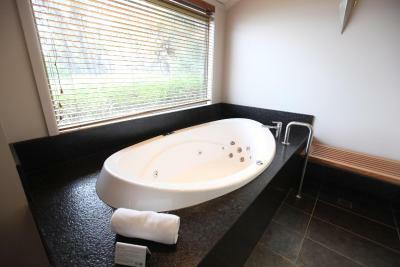 Some cabins feature a spa bath. Each cabin features a private balcony, private bathroom with shower, heating, air conditioning and a refrigerator. A TV is also provided. Facilities include bicycle rental and a tour desk. 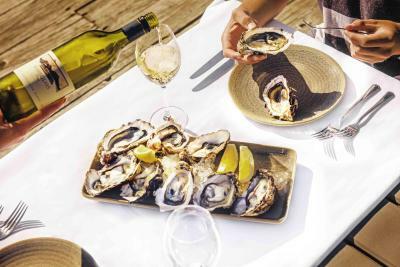 With panoramic views of Great Oyster Bay, The Bay Restaurant offers fresh produce and local wines. 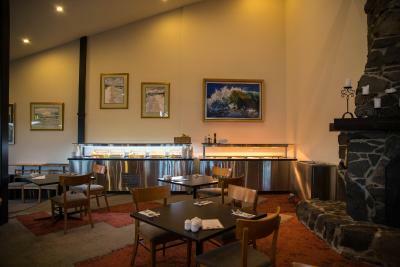 Guests can enjoy casual dining at Richardson’s Bistro. Hazards Bar and Lounge has an open fireplace. 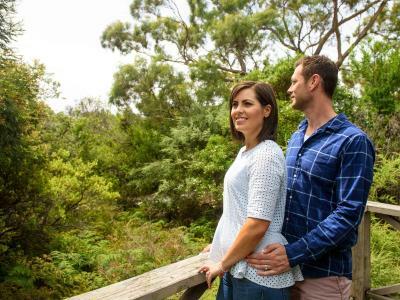 Located in a remote forest setting, Freycinet Lodge is a superb base for enjoying guided walks, quad-bike and wildlife tours, and sea kayaking. 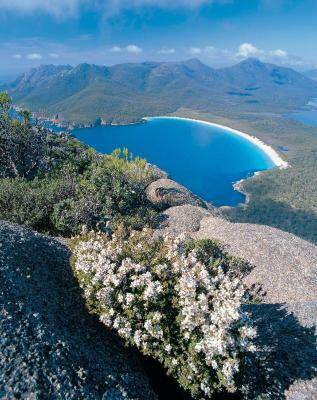 Honeymoon Bay is just 650 feet from the property, while Wineglass Bay Lookout is a 5-minute drive from Freycinet Lodge. 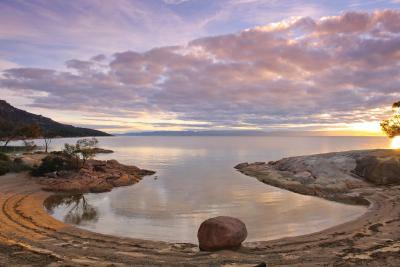 This property also has one of the top-rated locations in Coles Bay! Guests are happier about it compared to other properties in the area. 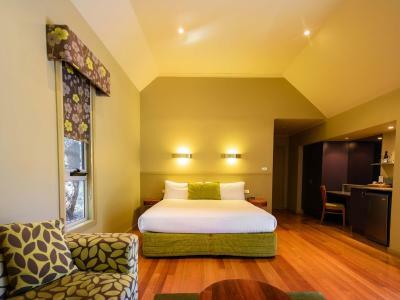 When would you like to stay at Freycinet Lodge? 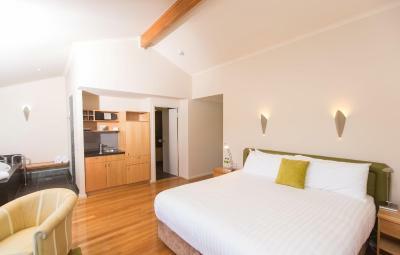 Ideal for a couple or a group of three, this room features a spacious living area with double sofa bed. Glass doors lead out to a private balcony with views of the park’s natural landscape. 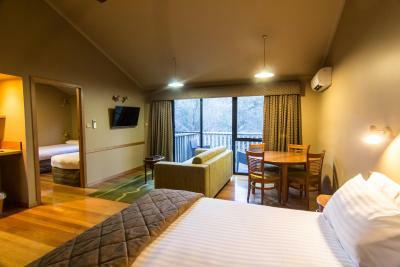 Ideal for families, this 2-room cabin has a lounge area, private bathroom with shower, and a kitchenette. Spacious open-plan cabin with a mini-bar, and private balcony. 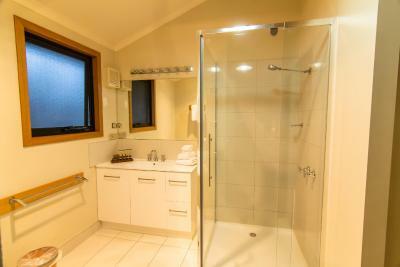 The private bathroom features bathrobes, luxury toiletries and a spa bath with views. This villa features a fireplace and a balcony with outdoor bath. 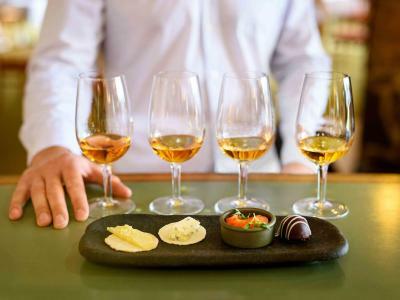 The Villa also includes wine on arrival, a turn down service with Tas Whiskey, check in with an Experience Manager and a hamper breakfast is available. 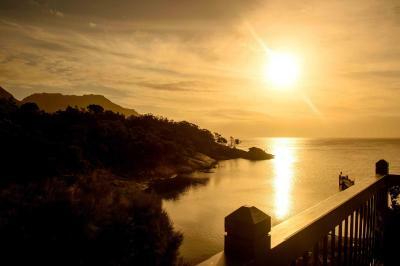 Freycinet Lodge is an award-winning eco-lodge with a superb waterfront location - Freycinet National Park. 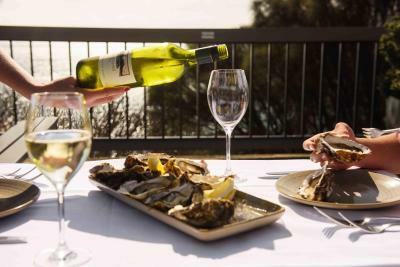 As the only accommodation within the National Park, Freycinet Lodge enjoys a unique vantage point over Great Oyster Bay for evening drinks on the balcony and dinner in The Bay restaurant as well as a beautiful bushland setting rich with native wildlife. 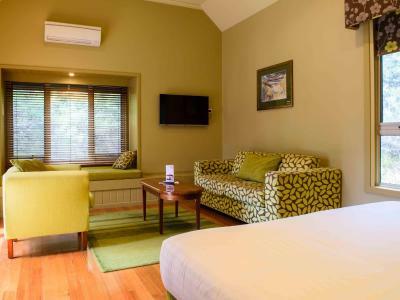 Freycinet Lodge is the ideal base from which to explore the Freycinet Peninsula day or simply relax and take in the surrounds. 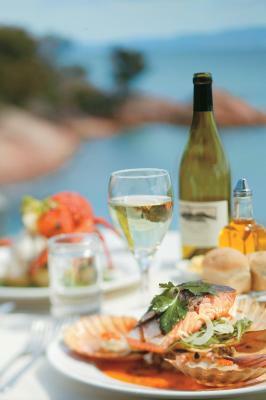 House Rules Freycinet Lodge takes special requests – add in the next step! 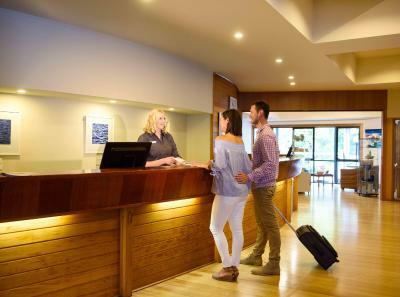 Freycinet Lodge accepts these cards and reserves the right to temporarily hold an amount prior to arrival. 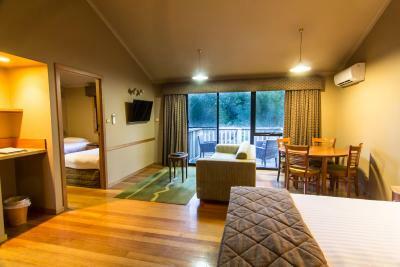 Please note that Freycinet Lodge is located within a National Park and entry fees apply. 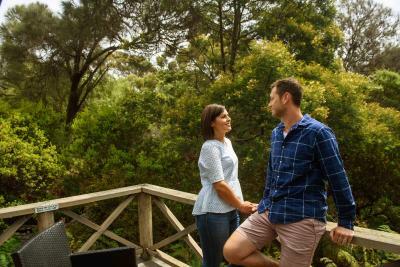 National Park passes are available from the visitor information center at the entrance to the park or from Freycinet Lodge reception. Prices for a 24-hour vehicle pass start at AUD $24.00. The cleanliness of the room and restaurants left a lot to be desired. Would have been nice to have a small kitchenette in the room. However, the staff provided a cooking pack which allowed us to cook at a BBQ area only a short walk from the room. Beautiful area and luxurious cabins. Charming lodge and wonderful views. Breakfast was very nice. Staff were very helpful. The staff were at all times professional, customer focused and genuine. Always greeted us with smiles and made us feel really welcome and they gave us really handy tips with where we could go and explore. The views from our room, dining areas, bistro, and deck were just fantastic. Coffee was fantastic. Food was great. The facilities are great. The peace and tranquility allow you to soak up the views even more. Having the Hazards at our door step along with ocean views is unbeatable. Our stay was magical. We are definitely coming back. The coastal room pavilion is amazing! No slippers in the room. Failed to replenish drinking water every night. Shower handle was cracked, but serviceable. Breakfast was good, nice size for selection. View from restaurant was spectacular. 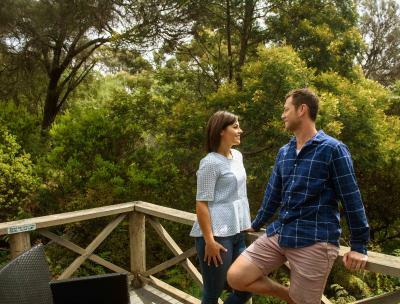 Set so close to Wineglass Bay and all the sights of Freycinet, this property fits seamlessly into it’s surrounds. Stylish and tasteful, wanting for nothing. The food was fantastic. 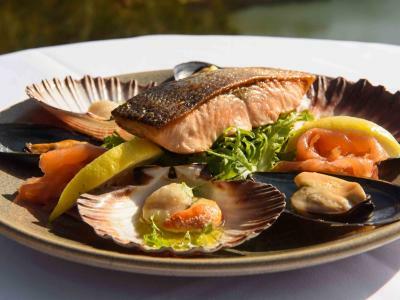 Every meal we had was exceptional in both Restaurant and Bistro. Special touches such as Lodge baked bread! 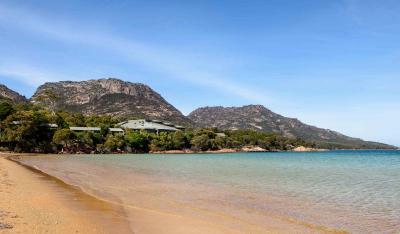 Could not recommend Freycinet Lodge more highly!! coffee preparation could be improved. (minor). No table on outside balcony. Disappointed that the jetty was closed off. Food was well prepared and served promptly. Excellent variety. Close access to the park. Free apples at reception. Bar attendant was excellent. Loved the location and views from the lodge. Free pool table. Bed in room was on rollers and moved around and room wasn't that great for price paid. The bath for our room was outside and not covered. Couldnt see the point in that! Fabulous location within park. 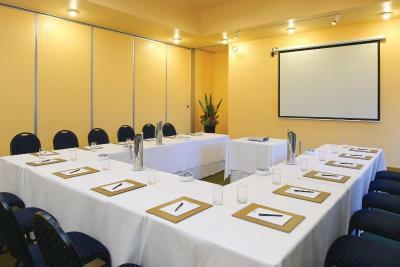 Rooms were very well equipped and furnished. The location, the outlook from the room and the staff support was exceptional. Excellent resort.